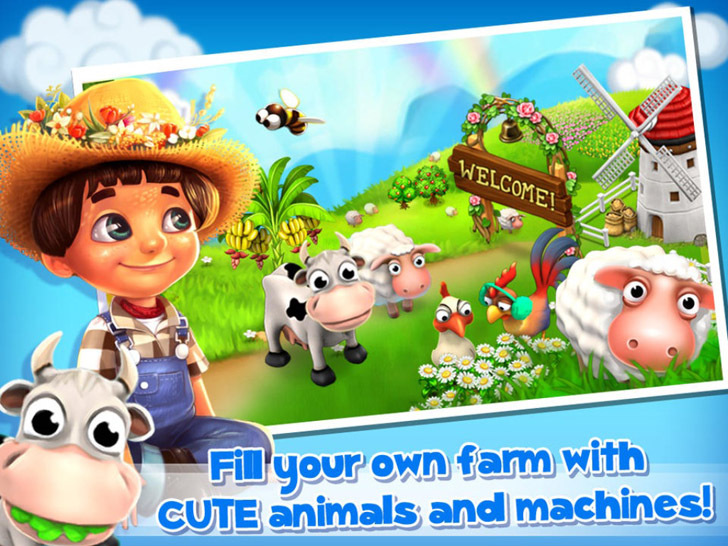 Post written for the website Freeapps.ws: Get ready to start and build up your very own dream farm village in Family Farm Seaside by the team at Fun+! You'll have an array of items and tools at your fingertips to create a magnificent farm such as 80 different types of crops, machines that create over 200 products, numerous animal breeds, buildings and more! This is a great game for kids and if you enjoy the farming life style this one's for you, give it a go! Family Farm Seaside App: Free or Free for a limited time! This app is available on iTunes And Google Play!